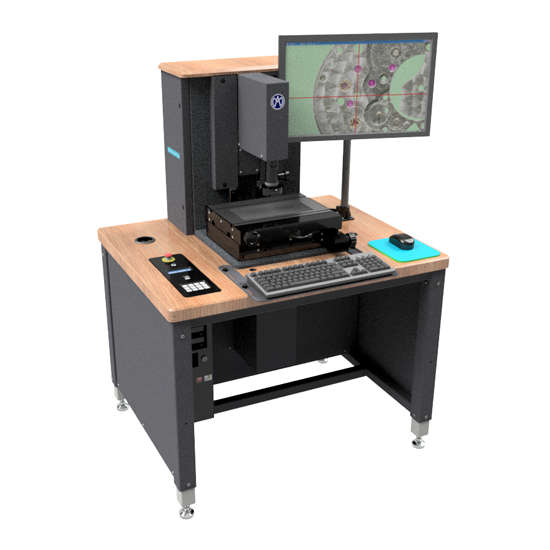 Line of highly modular measuring systems with a wide range of configurations. Marcel Aubert SA offers you perfectly adapted equipment for your needs and for the control of your components. Line of enclosed measuring systems that integrates all lighting and operation controls. The ergonomics of the device is thus optimal and the device is more compact. The choice of optics and lighting is designed for the most demanding applications. Line of measuring systems with large measuring capacities up to 300 x 300 mm. A wide range of fixed lenses, 6.5X zoom, 12X zoom with appropriate lighting solutions, will allow you to optimize the cost of your equipment while remaining strict with your requirements. Marcel Aubert SA created this device to simultaneously control the two opposite faces of a product. 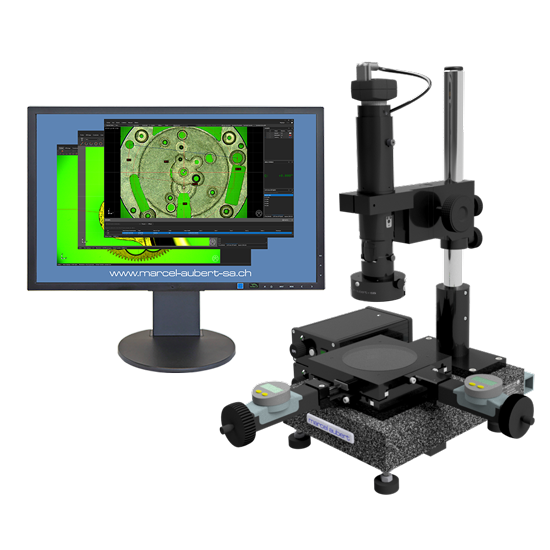 The system guarantees a single reference for both top and bottom views, so you can control your products without support by defining your measurement references on the opposite side to those of the control. 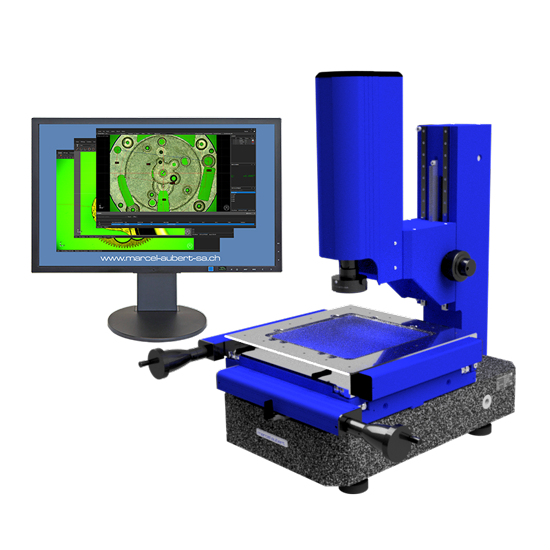 A video system equipped with two zoom-optics with color cameras allows you to control by comparing the profile of your part (video image) with a digitized drawing in DXF format. This machine is dedicated to the measurement of cutting tools. 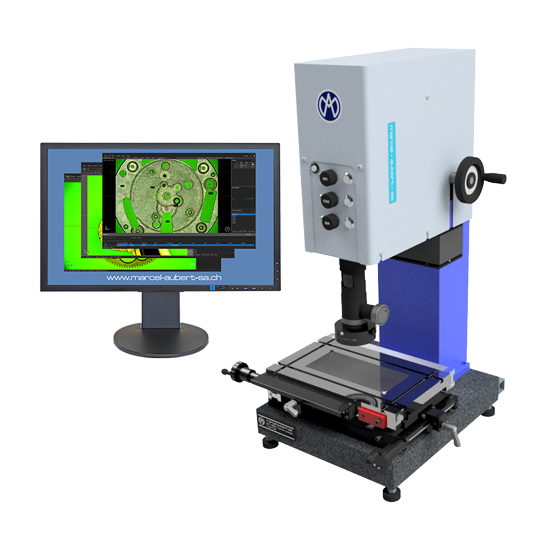 Vertical optics are used to measure diameters and lengths on a rotating tool. Horizontal optics enable the tip of the tool to be measured in order to check its orientation. The second horizontal optic rotates around the tool without displacing it, so several different angles can be measured with great reliability. Holding the tool horizontally allows the control of small and large diameters and is ideal for longer tools.